I've been a very bad blogger all week. Too much on my mind, too much going on. 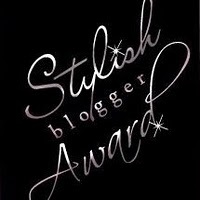 This past weekend I received note that I was awarded the Most Stylish Blogger award and it's about time I do the honors and pass it along to a few of my very favorite stylish bloggers! I must thank Dawn from the Alternative Wife for the honor, as well as for all of the comments and support she shows For The Love of Gold. She truly is a sweetheart, and her site is absolutely precious. That being said - I must note the logistics. As I said, the honor comes with the responsibility to pass it on (and, to jot down 5 random facts about yourself). It is extremely factual that nearly everything I do is random. I'm weird, I know it, I rock it. That being said, nearly everything interesting I think of relates to food (its a love affair, what can I say). So, in an effort to provide a few facts more interesting than bean burritos and my infinite love for hot sauce, I consulted a few of my nearest and dearest knowing they could come up with a few I couldn't. Here's what they came up with. I really, truly do have a love for gold. I wear my big, gold Michael Kors watch almost unfailingly. If it isn't that then its a chunky gold necklace or dainty gold earrings. It's a major obsession. I can do a pretty amazing rendition of 'Fergalicious.' Its not something I'm particularly proud of or something I show off, but I can't deny it. I love Goldfishes (the cheesy ones, not the swimming ones), however, in my humble opinion they taste better coming out of the milk carton-esque box rather than the foil bag. I am a very particular gift giver. The gift has to be just right, wrapped accordingly and just perfect. I wear sandals nearly every day of the year. Flip flops just make me happy! Now, for the good stuff! These ladies are all extremely stylish in their own right. They all have shown me and my dear little blog loads of support throughout my short stint blogging and I am forever grateful. Ladies, you rock! Keep up the inspiring posts and we all will continue enjoying the beauty you bring us each day. I can't wait to see who you pass this along to!!! 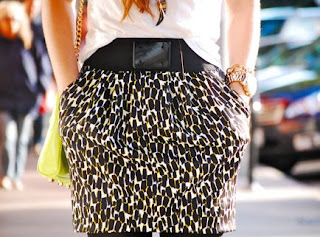 You are one of the most stylish blogger!! p.s. I am having my 1st giveaway if you want to enter. thanks so much for the sweet comment you left on my blog a couple of weeks ago, i just now saw it! i love the San Diego area, you are so lucky to live there! i lived in downtown 4 years ago and miss the down-to-earth city life. i'll have to look you up next time i'm in the area! Congratulations on your award!!!! That is fabulous!!! and wuaww thank you so much for the award!!! so flattered that you thought of everything fab and moi as stylish (ok is weirs I am talking about my blog as a person..)!!!! What a nice surprise after a loong week... merci beaucoup!!! Brittany!! First, congrats on the very deserved award, and two, Thank you! oy! I'm so flattered! Love your stuff too lady! Congrats doll, you deserve it, I LOVE what you have goin' on here. Loving your list too. And ya I agree the foil goldfish aren't as good. I want to belt out fergie with you on a girls night out!